Travelers have been flocking to Portland, Oregon lately -- in fact there's been a 28% increase in tourists to the unofficial hipster city in the past five years, according to the Port of Portland. If you're headed there for work, you'll certainly want to check out the cool cafes, bookstores, and food trucks that line the city's blocks. But the coolest thing to see in the area is an hour north at the Zoological Wildlife Conservation Center, in Rainier, Ore. The center, which saves animals at risk in the wild, has a sloth sanctuary -- its most popular attraction. 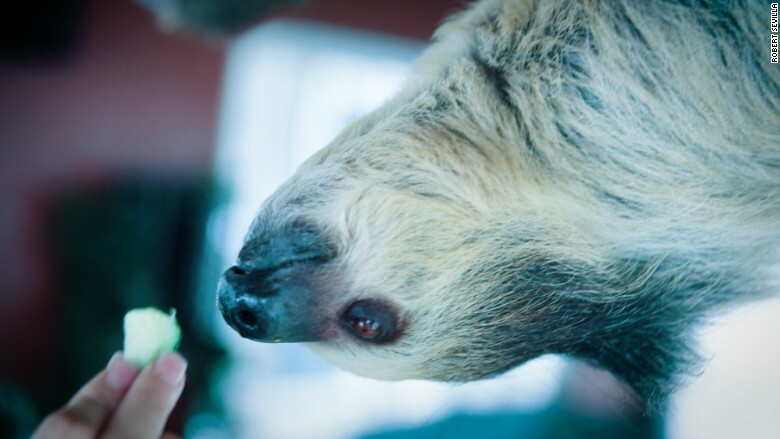 During an hour-long visit, you'll learn about sloths, see them in action (or lack thereof -- they're slow), and feed them. Cost is $100 per person on a Saturday, or $300 for a private visit any day of the week for up to three people. 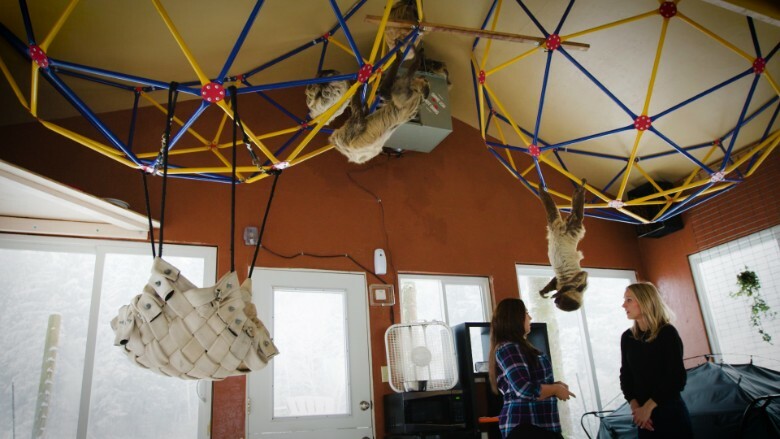 If that's not enough sloth time, you could even have a sleepover at the sanctuary. 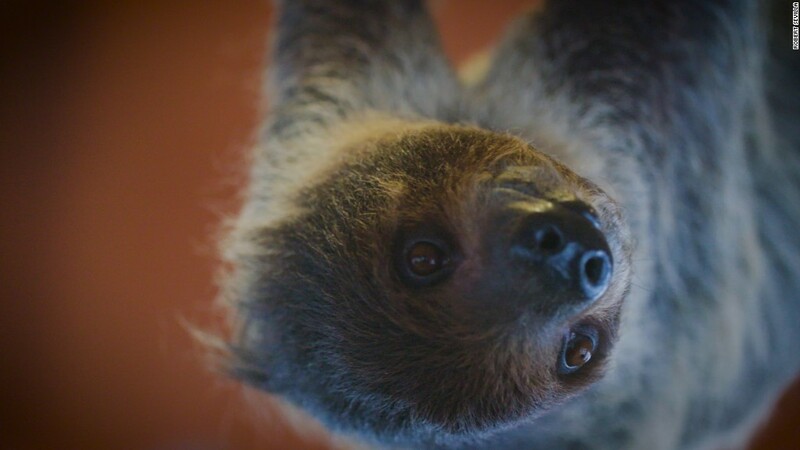 You'll arrive at 8 p.m. and depart at 7:30 a.m. -- perfect for watching sloths, who are most active at night. It's a bit humid in the sloth house, but you'll have satellite TV and a comfy tent with a cot to help you relax. An overnight stay costs $600 a night for double occupancy. Just be ready to keep all talking to a whisper. Sloths can get stressed easily (more on that later). 1. Sleep more. Sloths may sleep anywhere from 16 to 22 hours a day -- sleeping for longer spurts helps quicken their slothy digestive process. According to the Mayo Clinic, humans should also get a lot of sleep, 7 to 9 hours a day for adults. Sleep is especially important when you're traveling for business -- it's best to wake up rested to close that killer deal! A cucumber a day keeps the veterinarian away? 2. Hydrate. Sloths are constantly in danger of becoming dehydrated. Sloths at the Conservation Center are fed a lot of cucumbers, which are high in fiber and water content, to help them stay healthy. Flying, drinking alcohol, and sleeping poorly on the road can make humans extremely dehydrated. So be like a sloth: Drink plenty of water and eat fiber-filled foods to help quench your thirst. 3. Beware an invisible predator. Sloths' most dangerous predator can be stress. Sloths have a ruminant, or fermenting, gut system, explains Reagan Royale, Sloth Keeper at the Zoological Wildlife Conservation Center. Stress can kill the gut flora in their stomachs, Royale says, making them susceptible to Wasting Disease, where they basically starve to death. "They eat, and eat, and eat, but they don't get any of the nutrients from what they ingest," Royale says. Stress can be dangerous for humans as well, and the added pressure of a work trip doesn't help. The Anxiety and Depression Association of America offers these tips: Exercise daily (take a run outside or use the hotel gym), get enough sleep (an eye mask comes in handy), and take time out to relax (meditate using a guided meditation app on the road). 4. Don't rush. Sloths are incredibly slow-moving animals. But their slothy-ness should be a reminder to us that they eventually get where they need to be. In our rush from meeting to meeting on a business trip, we can often miss out on the fun things. Sometimes it's important to slow down so you can truly enjoy the city you are in, and turn business into sloth-filled pleasure.